MA 32™ is a combination of 32% mandelic acid and a uniquely textured pad to treat acne, hyperpigmentation and rejuvenate the skin. The pad is designed to exfoliate and allow the mandelic acid to further penetrate into the skin for a deeper revitalizing peel. With its special formulation, this product is aimed to treat all skin types and skin tones. 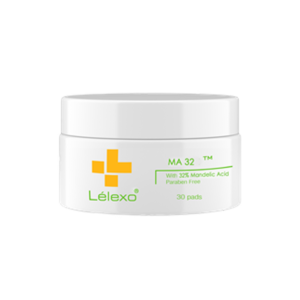 MA 32 is the cutting edge for effective skin results.